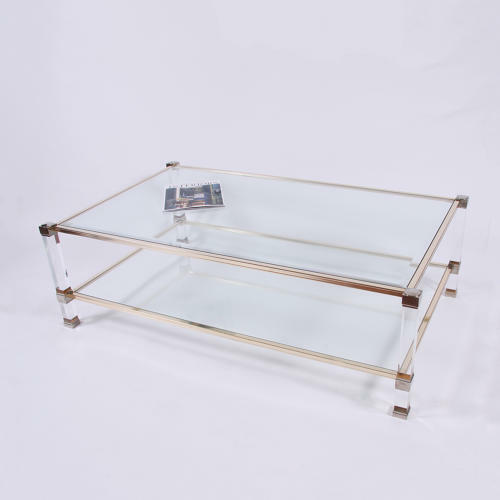 A two tier coffee table with square lucite legs and warm nickel plated metal. Bevelled glass on top tier. All the glass had been replaced with new toughened glass.